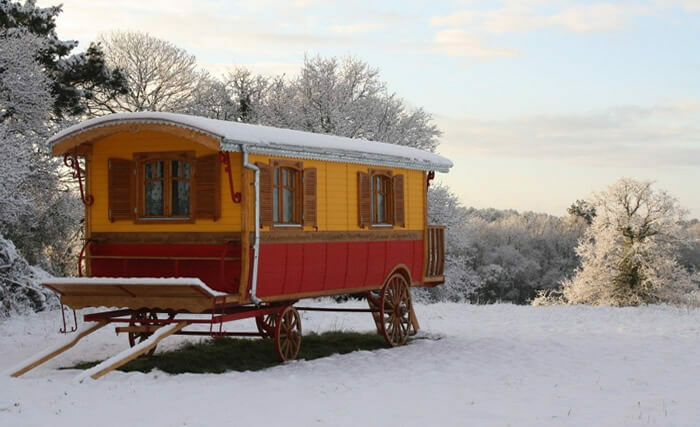 Heating (unusual accommodation in April and May): €15 – Free in February, March, October and November. 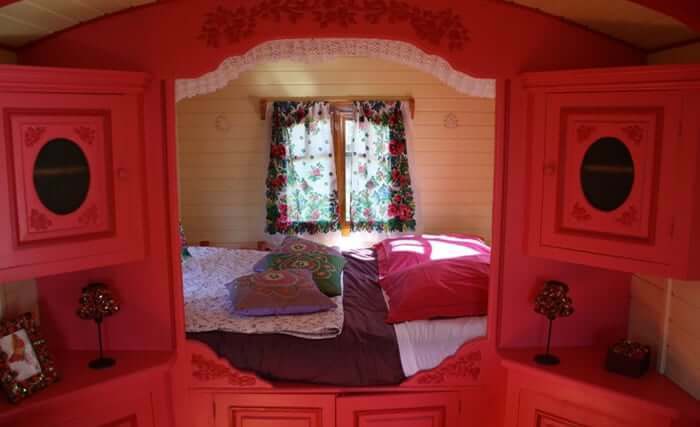 A 140X200cm double bed, pull-out single bed also available (for child only; size of bed: 1.5m). Bedding, candles, and dynamo lamp provided. Towels not provided. Separate dry toilets indoors with a tap to freshen up (traditional toilets can be found in the main farm 25m away). Table and chairs in the meadow. Breakfast hamper included. No running water or electricity. Heating in February/March/October/November (also available as a supplement in April and May). Bike rides (bikes available to hire). Stand-up paddle outings with instructor or alone. Kite surfing lessons in Brittany. Steps up to entrance. 25m from car park. 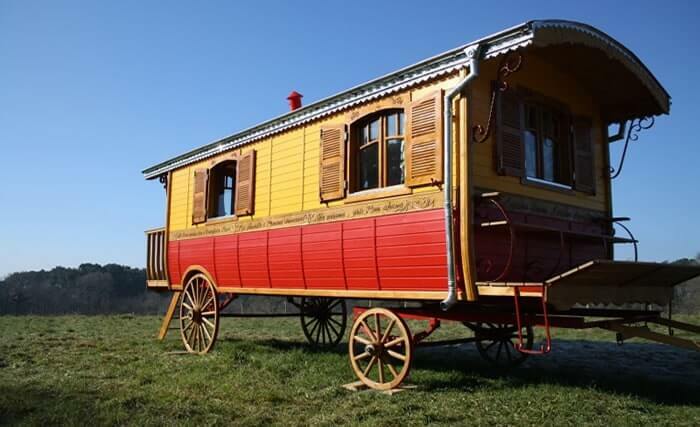 Gypsy caravan holiday in Brittany– Unique guest house between Carnac and Quiberon. 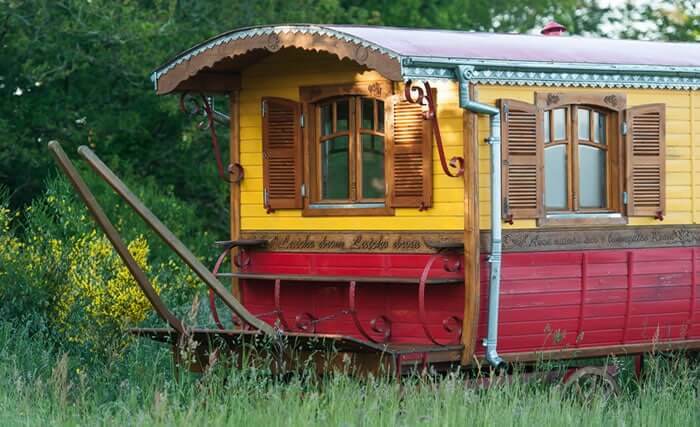 Dihan’s gypsy caravan is brightly coloured and secluded, the perfect sanctuary for a romantic weekend. 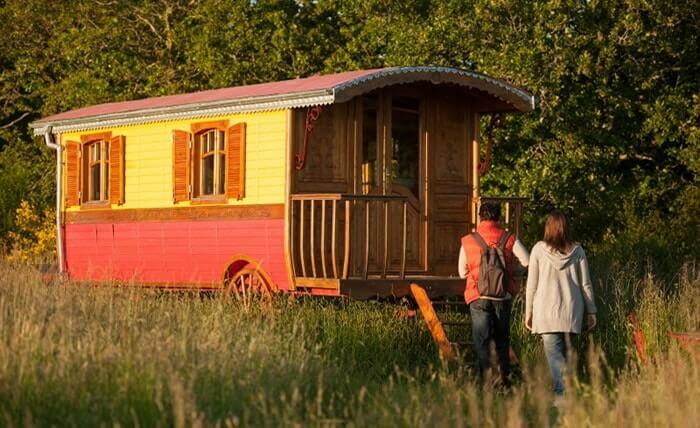 It stands in a corner of the meadow, although Casanova, the Breton workhorse, is never too far… The poetic world of the caravan will take you on a journey of its own. 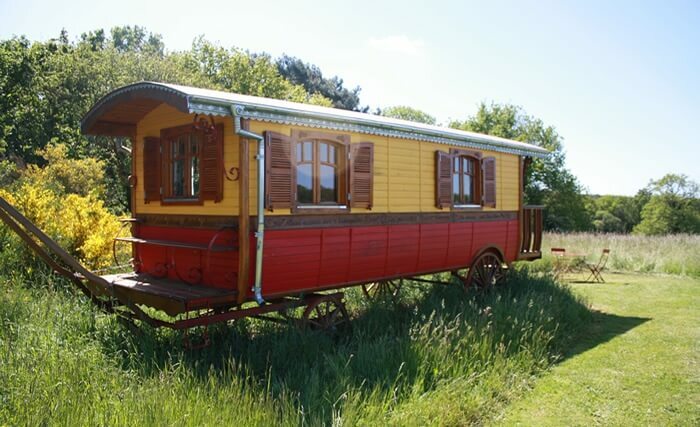 Spend your gypsy caravan holiday in the Morbihan and discover Southern Brittany between Carnac, Quiberon and the Gulf of Morbihan. Soak in the pleasure of the Spa By Dihan wellness centre following your unique night in this unusual accommodation..